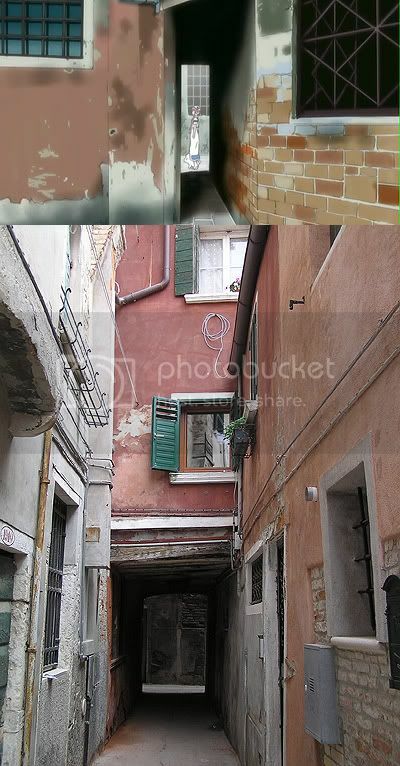 The DVD-only episode of ARIA the Origination came out last week and it covered one of my favourate areas of Venice - Sestiere di Castello. Akari goes for a stroll in that area. One of the first visible landmarks is this bridge. There is then a fork in the road. Akari decides to stick to the coastal promonade and takes the right fork. 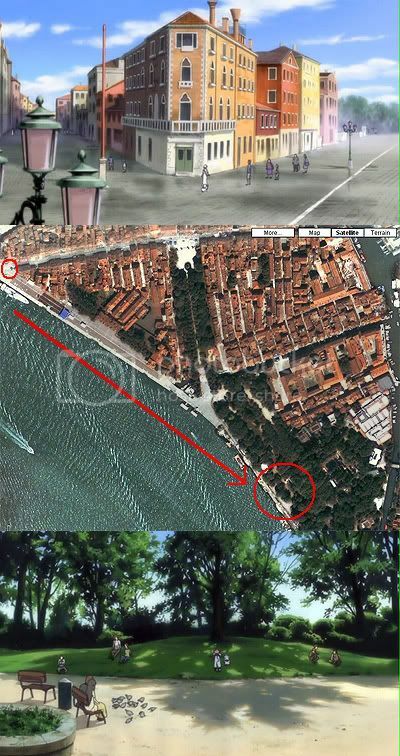 She soon arrives at the Giardini Pubblici. 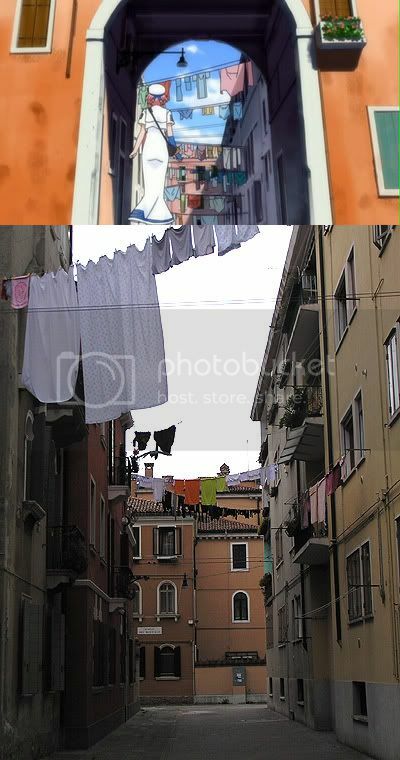 Akari also goes laundry hunting. We catch a glimpse of the towers at the Arsenale - the naval station. 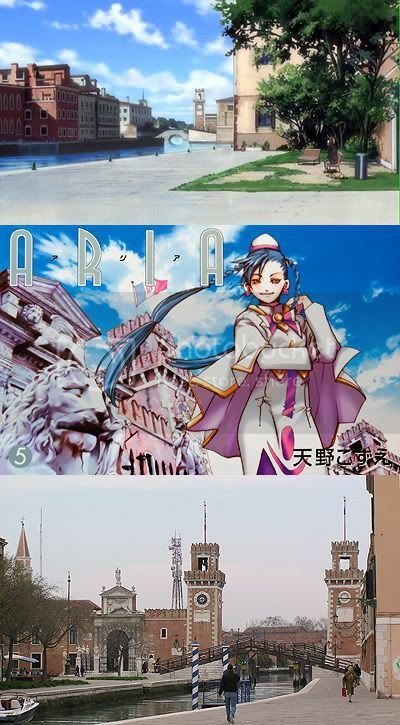 The Arsenale towers also feature in the cover of ARIA vol 5 manga. Akari at a shop. I only saw one canal boasting some sense of "busy-ness" to have all these shops so I incude a photo of it. 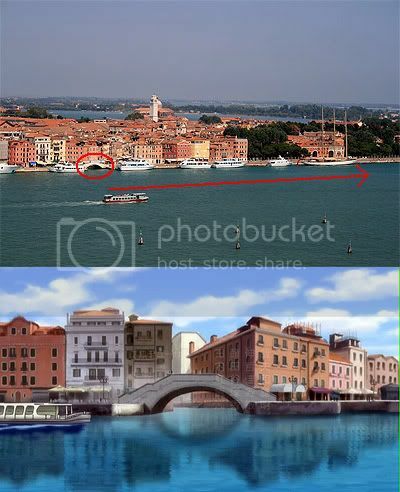 There is a continuity error on part of the producers as when Akari comes out of the shop, the canal has magically vanished! 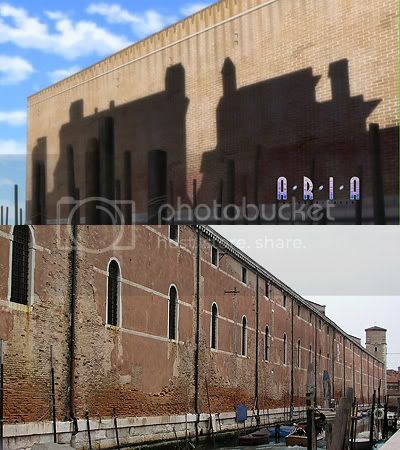 The end of the Castello segment, featuring the fortress-like walls of the Arsenale. Another place I want to see, because... you know. Hell, I want to see everything!